Sign up at 21.com Casino for 210 No Deposit Free Spins PLUS a Cash Bonus! 21.com is an exciting casino full of the best new slots from Microgaming, Big Time Gaming, Play ‘N Go and more. Daily 10 free spins are added to your account as follows: Day 1 – After your first deposit Day 2 – 24 hours after registration Day 3 to 21 – Immediately when you sign in to your account between 00: 01-23: 59 CET. Free Spins that have not been played will not accumulate for later use. They are considered non-redeemable and cannot be used later. Wagering requirement: x50. 21.com is a fresh and sleek looking online casino with a brilliant choice of games to suit any slots fan. The casino is clean and simple looking with a white backdrop, sharp graphics and a pop of red. 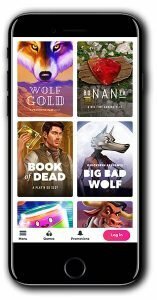 Enter the lobby from whatever device you happen to be playing on, and you’ll be met with a host of their most popular games which you’ll notice are supplied by several different developers. 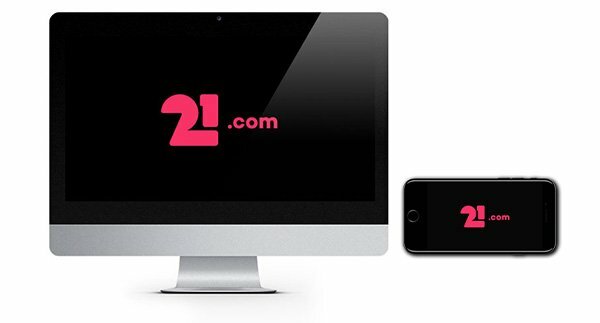 21.com has brought together the likes of Big Time Gaming, Play ‘N Go, NYX, Microgaming, Quickspin and more. The games are showcased brilliantly with nice sized links and details of who the software supplier is. 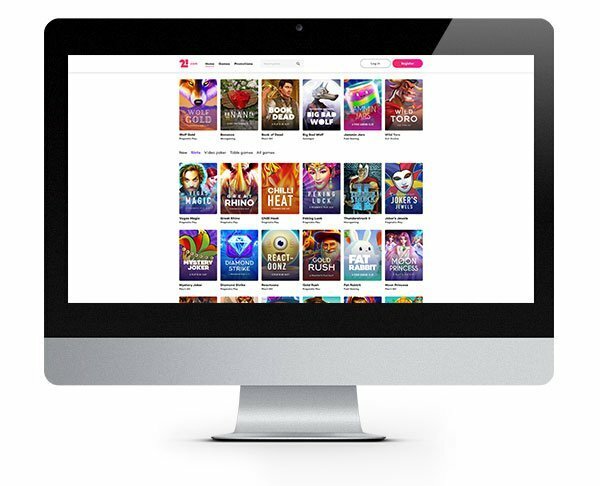 You can quickly glance through the games and pick out something to play on your desktop, tablet or mobile! The Malta and Curacao licensed casino is still pretty new having launched in the latter half of 2018, so they are still building up a reputation within the gambling community. So far things look quite positive with a steady support record and decent reviews amongst the casino influencers. The casino has 24/7 customer support in place with agents available daily via live chat and email. Their live chat service provided the quickest response times (under a minute), so we were pretty happy with that. When it comes to their banking, players can rely on secure deposits and withdrawals thanks to the use of industry standard 128-bit SSL encryption. They offer deposits via a number of key vendors including Visa Debit and Credit cards, MasterCard, Skrill, Neteller and Paysafe Card. Something to be aware of is that 21.com will charge a €1.99 fee for making a deposit and a €3 fee for making a withdrawal. They aim to process all withdrawal requests within 72 hours so not the quickest by any means. 21.com offers a whole host of player promotions to keep things interesting and hopefully the cash and spins rolling in! Check out their promo page for the latest offers and competitions. 21.com is home to a stack of top slots including Avalon, Thunderstruck II, Bonanza, Book of Dead, Jurassic Park, Rainbow Riches and Dragonz. They showcase games from Big Time Gaming, NYX, Microgaming, Play ‘N Go and many more so the variation on the styles of games you can play is excellent. 21.com is strong on slots but leaves us feeling a little short-changed when it comes to their table games collection. This was surprising as the name 21.com would imply that they should have a wealth of card games in store for us. While they do have a reasonable amount of poker games, their other table games are relatively limited. With a choice of two blackjack and roulette games, keno and baccarat. New Player Bonus – 210 Free Spins + 100% Match Bonus! Get 210 Free Spins when you sign up with no deposit required! Plus, your first deposit is doubled! Play casino for free with 10 Free Spins per day for 21 days = 210 Free Spins. When depositing you will also get a total of €210 in bonus. Use our link below to register your new casino account. You can start playing free spins on top slots and a 100% cash match bonus at 21.com! IMPORTANT NOTICE – Make sure you are aware of gambling regulations in your country of residence before you register at 21.com Casino. 21.com is a solid choice for slot players, their table games are a little limited so look elsewhere if you want a big selection in this area. 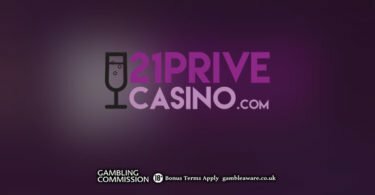 21Prive Casino: 10 Instant Signup Spins No Deposit Bonus!